What is a Laser Induced Damage Threshold (LIDT) Certificate? What is a pass/fail certification? How is laser damage threshold testing carried out? What are the units for laser damage testing? What difference is there between "Graphical" and "Least Fluence" threshold determination? What sample size should I send and what parameters do I need to specify? What parameters do I need to specify for the test? Laser damage is defined by ISO standards as "any permanent laser-radiation-induced change in characteristics of either the substrate or the coating". In order to cause damage we need to irreversibly break chemical bonds. The first bonds to break are usually the weakest and are a consequence of defects. These can be on the surface, at the coating/substrate interface, or within the bulk of the substrate or coating. The term ‘defect’ is a difficult concept when dealing with amorphous materials. However, we can say that the energy levels of these weakest bonds lie within the tail states of a ‘density of states’ diagram. What is a Laser Induced Damage Threshold (LIDT) Certification? This is the definitive test for a coating, determining the power or energy level above which damage is possible. After the test, we issue your sample a certificate which states the test conditions and the result. We undertake graphical determination of laser damage thresholds. This method of threshold determination gives additional information from the collated data. For example the uniformity of the slope can give information about the quality of the coating process used. An LIDT Certificate issued by BRL contains the full damage pattern and we are happy to offer additional post-test consultation on the results. A pass/fail certification is a simple test which certifies that a sample can withstand a customer-specified laser fluence. A number of sites across the sample are irradiated, and any laser induced damage constitutes a ‘fail’ result. This is a simpler test than a full threshold determination, and is often used for QA testing of a coating run. Laser damage is a statistical measurement. An optic or a witness piece is subjected to appropriate laser light. Incident sites (an array of well over 100 sites) are exposed to the laser beam, and each site is exposed to several laser pulses. There are usually 10 sites per row, and each row is subjected to the same power level. Because of this, we require a minimum sample clear aperture of around 10 × 10 mm. 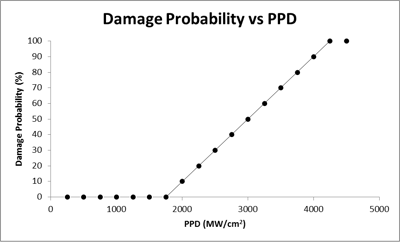 The number of laser induced damage incidents per power level is recorded and depicted as a damage percentage. As the pulse duration is fixed it is actually the beam energy which is varied, increasing row by row until a damage pattern is obtained. The critical factor in laser damage is the power level. Technical aspects of laser damage testing are well documented online. Explanations given here are to help buyers and coaters choose their test parameters knowledgeably and for them to get the most information from the results. Often a numerical result is what’s required, however if you are developing a new product, graphical analysis can help establish your route to success. Our LIDT order form is downloadable here. Graphical Analysis is the most accurate means of establishing the Laser Induced Damage Threshold (LIDT). LIDT is commonly referred to as Laser Damage threshold (LDT). Belford Research Ltd. (BRL) certifies their LIDT tests are conducted in general accordance with ISO Standards 21254-1; 21254-2; 21254-3 and ISO-TR-21254-4 2011. All instrument calibration is traceable to British (BS) or USA (NIST) standards. The most commonly required tests are pulsed laser damage tests; the units are J/cm2 and MW/cm2. as it gives the peak power density (energy per unit time per unit area) which is the quantity being assessed in laser damage threshold testing. That is; the lowest peak power level that the coating can survive per unit area without permanent structural damage. J/cm² is energy per unit area and has no validity as a laser damage unit. It has to be quoted with the pulse duration to allow a power value to be calculated. When quoted without the relevant pulse duration it does not represent an absolute damage level or a comparative relationship between the LIDTs (Laser Induced Damage Threshold) of two coatings. For example, if a coating has an LIDT of “500 MW/cm²” and this was obtained using 20 ns pulses then it would have an LIDT of “10 J/cm² at 20 ns”. If the test was carried out at 10 ns and gave an LIDT threshold of 500 MW/cm², it would have an LIDT of “5 J/cm²”. Thus giving the J/cm² value without quoting the pulse duration is meaningless. These units are for pulsed laser measurements. Pulse lasers generally require optics with high LIDT values. Continuous wave (CW) laser damage is a linear measurement and has a different unit base. 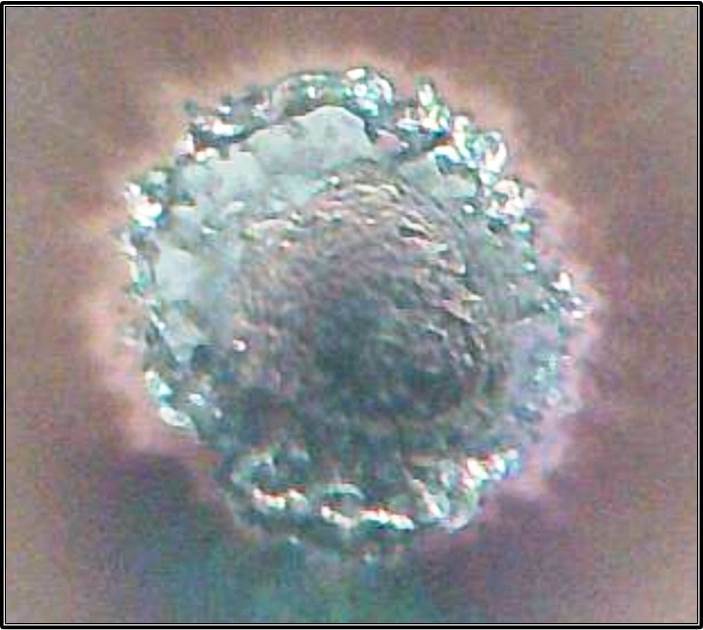 This is not per area but per spot diameter (normally called spot size). Hence your spot size on the optic will matter. The units are easily scale-able and a ready reckoner is given with your test results. What is the difference between “Least Fluence” and “Graphical” determination of laser-induced damage thresholds? A graphical determination of the Laser-Induced Damage Thresold (LIDT) involves exposing the test piece to higher and higher fluences, until it shows a 100% damage probability, or ablation is observed. At each fluence, several sites on the test piece are exposed and any damage is carefully recorded. A least-fluence determination of the LIDT is a much simpler test, with the test piece exposed to several fluences, the highest of which without damage being determined the threshold. Graphical determination is the most accurate method. As laser-induced damage is a statistical process, the first, or lowest fluence, damage incident may not occur on the row tested at that level. Additionally, the very first damage incidents can be extremely difficult to detect. The threshold value occurs at the x-axis intercept. In real life, it’s not quite so uniform as in the above example. Any surface defects, as well as the quality of the coating process, can cause variations in the pattern. At BRL we can discuss with you what the damage pattern means in terms of your coating quality; we give you more than just a number! What sort of samples do I need to send for a test? Most coaters will supply a sample in the format of a circular disc 20-25 mm diameter and approximately 2-3 mm thick. The discs are coated with either AR or HR coatings. They are witness pieces and have the same substrate, substrate surface (prior to coating) and actual coating as the optic. 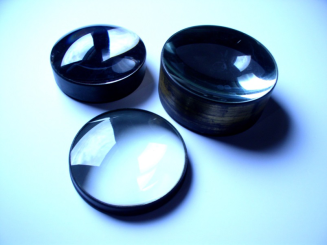 Optics can also be tested but are slightly more expensive to handle. We require the production diagram and have to modify our laser damage test bed to accommodate their exit beams. There are general standards which we can advise for some of the above.